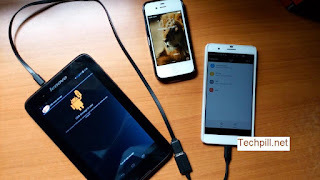 Most Android User still don't know what awesome things their android phone is cable of, that's the reason you need to explore your device to the fullness. Have of you heard of OTG? Whats the function of OTG? 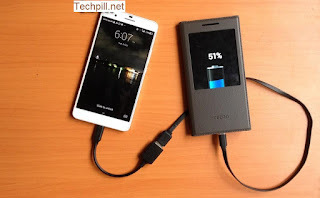 How to use and connect OTG? well this post will answer all those questions for you. 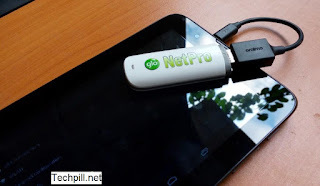 OTG means "On The Go", Its a standard cable in which Android devices talk and communicate to each other for example For example, instead of connecting to a PC to transfer files, USB OTG enables devices to connect directly and swap stuff; instead of sending your photos to your printer via your PC, you can connect directly do it, and so on. That is not all! 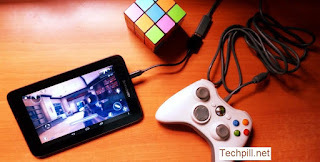 you can use this to connect a mouse to your device and operated it just as you do on PC, play games using the mouse or pad connected via the OTG cable to your android device. If you fancy making music on Android, USB OTG enables you to connect devices such as MIDI keyboards and controllers, audio inputs for instruments and vocals and various controllers that can turn your phone or tablet into a serious music-making machine. Here are the Top 6 Things OTG cable Can do. 1. Using a Flash Drive. 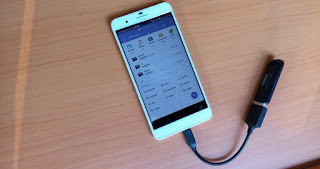 With the usb OTG cable you can share file between various devices be it PC or all type of android devices that support the OTG. just plug and play. You can watch movies on flash using the OTG Cable or reading document on the flash. If you like simplicity you will want to use this function especially if you are game freak. 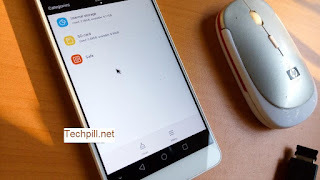 You can use a normal PC mouse on android either to play game, or just move around on the device. it work amazingly. Wow! i love this part. Do you know you can use this to boost your internet speed? Yes it can boost it. if you have WIFI only device use this to surf. just plug in the modern on the OTG cable and start surfing. Did i just hear you say cool? This is more than cool. Playing game using your android control is not the same using and external controller, it run smooth and fast. You can play your favorite game like Call of Duty, All Pro Evolution Soccer Series, Modern Combat, Mortal Kombat etc. with ease on your Android Device. Most people uses xender or flashshare top share file between their devices but if you use OTG you will know that this is the fastest way to send file between devices. 6. Changing A Phone With Another Phone. This is awesome isn't? instead of using Power Bank you can just use this method to add some power juice from your friends phone. Which Devices Support USB OTG? Not all devices has this feature, To know if you have it just check the box you will see the following logo on it or just google your device name + OTG to know if it support it. 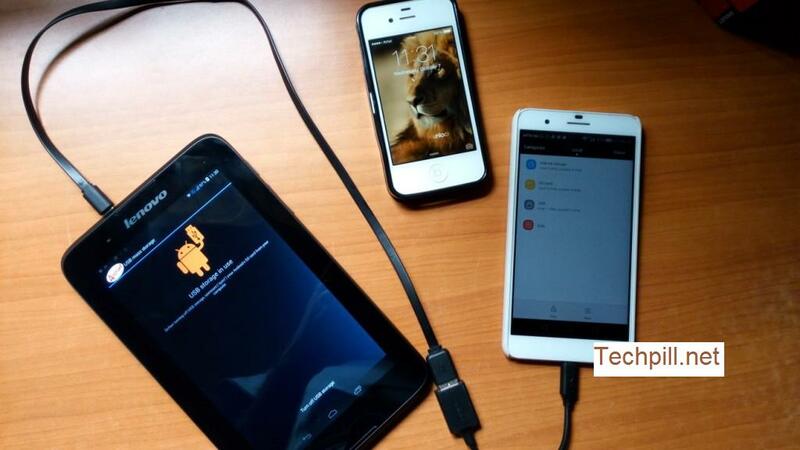 Here are some of the list of devices supported. >> And Several Other Phones. Have you been using this Already? What other Feature can OTG cable do that is not listed here? Add it on the comment box.